Alan Pardew is waiting to see if Saturday's 1-0 defeat at Watford will cost him his job as manager of rock-bottom West Bromwich Albion. There had been speculation ahead of the trip to Vicarage Road that the 56-year-old would be axed if they failed to pick up any points from the game. If the consequences from this defeat are that I lose my job then that will be what it is. Hornets striker Troy Deeney scored the only goal in the 77th minute of a tight encounter to leave the Baggies rooted to the foot of the table, eight points adrift of safety with only nine matches remaining. The situation looks dire for the club, while Pardew, who has picked up just eight points in 18 games in charge since he replaced Tony Pulis in late November, accepted that he could be relieved of his duties at any time. "If the consequences from this defeat are that I lose my job then that will be what it is," he said. 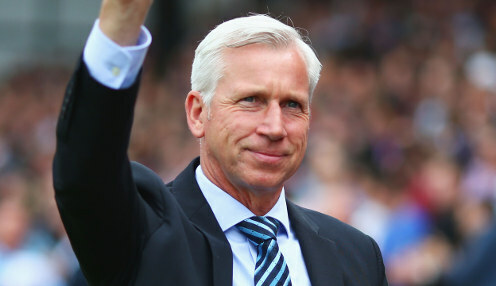 Pardew added: "It has turned into a personal situation, but this is about West Brom and not about me. "I have got no message to the board. I don't think it is anything to do with that. "I am employed to be the manager of this football team and I try to put out a side that I think has got a chance of delivering the win. "All I can hope, and what I think was on the surface today, was a commitment from the players to address the situation. Unfortunately for us we came out the wrong side of it." The Baggies, who are 9/2 to finish the season bottom of the table, are available at 23/10 to pick up a much-needed win in their next Premier League outing against Leicester at The Hawthorns on Saturday. The Foxes are priced at 27/20 to win and the draw is 12/5.